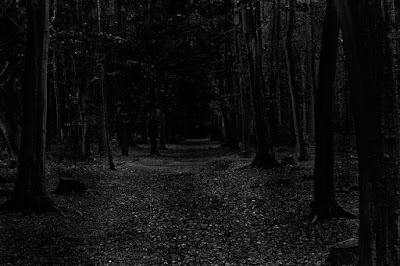 Spooklights are an unexplained phenomena in woods and no one yet has really pinpointed the source with any absolute answer. The Brown Mountain lights in North Carolina are one of many famous lights including Marfa Texas and Hornet Spooklight in Missouri. These lights interestingly are seen randomly in woods all over the world including the terrifying Hoia Baciu in Romania. They are tied to legends of railroad men with lanterns and Native People with torches, and lots of ghosts and romance, aliens and natural phenomena, but still no one seems to be able to track them down and see them up close. 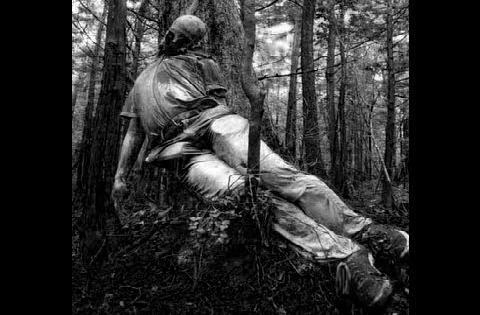 Aokigahara or “Sea of Trees” is a forest that lies at the foothills of Mt. Fuji in Japan. 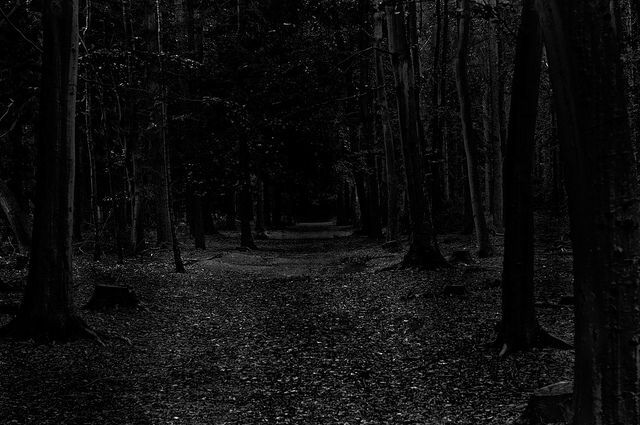 Popular culture has associated this forest as a “popular” place for young people to commit suicide. Because of the dense forest and the lack of wildlife within, it is eerily quiet and still. This volcanic land and thick woods are marked by plastic tape where volunteers search for more bodies. It is the second most popular suicide spot with the Golden Gate Bridge being number one. It averages about 30 per year. However, in 2003, the rate rose to 100 and the government quit giving the statistics, hoping to play down this popular spot as a destination for those determined to kill themselves. This location is believed to be haunted. Personally, I am not a person who disbelieves haunted land. In fact, living in a mining state, I do believe land can certainly be haunted. Given that Mt. Fuji is a volcano and the land is littered with volcanic rock and geological changes, it seems nearly certain that with that much anguish and death, it would be an ideal haunted spot. Many of these young people come and camp before killing themselves, performing a kind of life review and bonding with nature that makes this seem like an almost peaceful place to pass on. Often times, they choose this spot far away from home and get rid of their ID, hoping that shame will not be put upon their loved ones. The Hoia Baciu forest in Western Romania has a reputation as the most haunted forest in the world. It might have to compete with Suicide Forest, but it certainly is at the top two. This creepy forest in Romania has been associated with a huge array of phenomena often including; spooklights, apparitions, UFOs, faces showing up in photos that weren't seen at the time, and in a popular "Destination Truth" episode, a cast/crew member was thrown and had scratches while they watched him. This occurred in an infamous area in the forest where no trees grow. 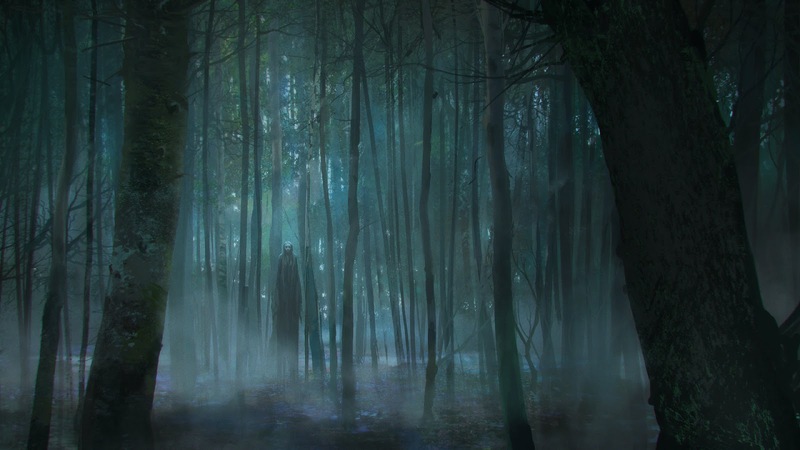 Slenderman is generally considered a modern-day urban legend built from the fragments of historic legends. He is said to be a very tall, slender, finely dressed man who has limbs that are rubbery and able to bend shapes and stretch. He is reported to walk the forests and steal children for the most part. 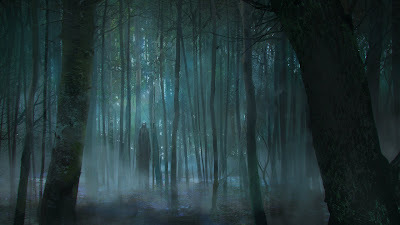 How Slenderman came to be, no one can find the exact source, but it appears that he is a compilation of the infamous "don't go in the woods alone, children," cautionary tale and figures of historic legend. 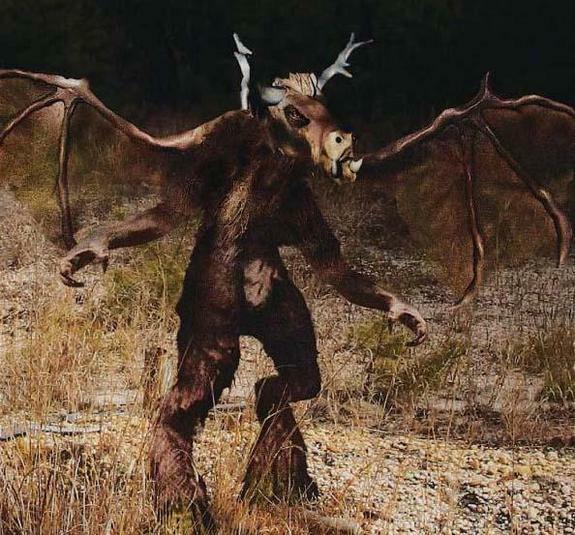 The Jersey Devil of the Pine Barrens region of New Jersey have gone down in history as one of the creepiest woods ever! Legends abound and witnesses are numerous to a supposedly flying winged creature with red eyes, cloven feet, and a horse's head. Sightings of this creature have been around for hundreds of years and the explanations for its existence have varied from some sort of demon or devil to a child of a woman who bore 13 children and cursed it at birth. There is an enormous and remote wilderness area Nahanni National Park in the Northwest Territory of Canada that would make for some amazing hiking and exploring, only it carries a rather dark reputation - as a place where headless bodies show up! The local Dene Tribe named the region for "the people over there." The "people" being some remote mountain folks called Naha who were evil giants who attacked their villages and behead people. These giants were said to wield weapons never seen before (a theme the Paiutes also utilized in describing the Hav-Musuvs of Death Valley). 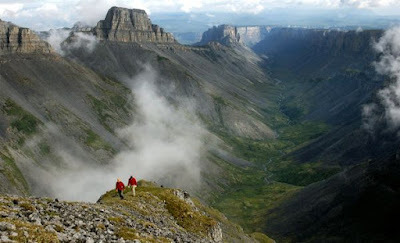 With the 1800s advent of fur trappers and Europeans to this region of Canada, so came the legends of gold to be found. In 1908, two brothers went in there to prospect. After a year missing, it was assumed they were taken by the elements. Eventually, their bodies were found along a river, both decapitated, with their heads nowhere to be found. In 1917, yet another prospector set out to find gold. He even built a cabin and settled in, but later the cabin was found burned and his headless skeleton was found among the ashes. In the mid 1900s, a trapper's body was found in his sleeping bag, without a head. Soon after, a trapper was found frozen to death, holding matches and sitting in front of what looked like a fire that had been running for some time. He was frozen through. By the late 1960s, 44 people had gone missing, never to be found again. In 1964, a man named John Baptist saw a man-like being with a long black beard that uttered a growl and took off. Several more people in the area reported seeing him, one saying he wore a moose skin around his waist and had a stone club. 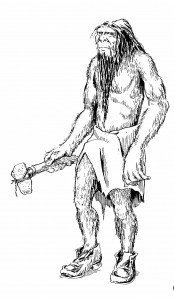 These giants are reported to have short body hair, long beards, clawed fingers, long arms, black faces, red or yellow eyes. They are said to make high-pitched whistles and laughing sounds, are nocturnal, smell awful, are swift runners, supposedly hypnotic powers, throw rocks, and will kidnap women and children. 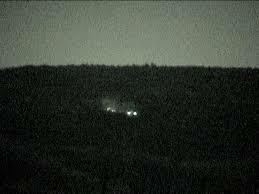 This valley is also known for other cryptids such as thunderbirds, strange lights and UFOs. Some say that the once thought extinct, Bear Dog, still rambles around the hillsides there. 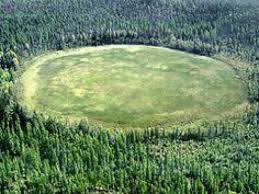 Perhaps the area is a strange portal or vortex, even a holding place for some Pleistocene creatures thought long gone. Source: In North West Canada,‭ ‬and even some connecting parts of the United States there have been reports of a large wolf-like animal,‭ ‬but powerfully built similar to a bear,‭ ‬particularly the fore quarters where the legs are longer than the rear as well as a broad head much wider than a wolf and with a coat of long white fur.‭ ‬These features all correspond with the physical traits of the larger bear dogs‭ (‬although we can’t be certain about the colour‭) ‬as well as the description of a creature in Native American folklore called the Waheela.‭ ‬Back in the twentieth century the cryptozoologist Ivan T.‭ ‬Sanderson drew this very conclusion that stories of the Waheela may in fact be accounts of a relict population of bear-dogs‭ (‬although confusingly he additionally referred to Canis dirus,‭ ‬better known as the dire wolf for his theory,‭ ‬and this was a true wolf not a bear dog‭)‬. The Waheela is a creature of legend yet one that many people have claimed to have seen even in modern times.‭ ‬Additionally there seems to be a concentration of reports of the Waheela that come from the Nahanni Valley,‭ ‬a place that is also known by the more grisly name of the‭ ‘‬Headless Valley‭’ ‬due to the discoveries of the bodies of people that were missing their heads.‭ ‬Stories from people who claim to have seen the Waheela are usually fairly consistent although it could be argued that the story of the Waheela is becoming more popular in the mainstream and that more people now know what to say,‭ ‬or are led to a specific conclusion because of this whereas otherwise they might not have said Waheela.‭ ‬The story and description of the Waheela is also similar to other creatures of legend called the Shunka Warakin and the Amarok,‭ ‬so it seems that these different stories may all be describing the same creatures. Although the story is good,‭ ‬it is currently impossible to establish if the Waheela is a late surviving bear dog,‭ ‬or even if it exists at all because so far it is only legend.‭ ‬No body or part of has ever been presented for scientific study,‭ ‬and there is no definitive video or photographic evidence of a living Waheela in its natural habitat.‭ ‬This does not completely discount the idea that a still unknown large mammal might be roaming around the wilds of Canada given there remoteness and lack of people to witness something,‭ ‬which is why the chance of something being found is viable,‭ ‬if slim. Others say the region is an opening to Hollow Earth, a supposed other world within our world sometimes described as nirvana. valley warmer than the surrounding areas by about 30 degrees year-round. This land of perpetual mist is viewed by the Indians as taboo and avoided. Much of the land is still unexplored and unmapped, making it an ideal hiding place for a tribe of giants who went into hiding or other mysterious and deadly entities. What is happening in the Valley of the Headless Men? We have no idea, and we may not for quite some time. Man still has yet to truly plod through the region extensively enough to discover anything for sure any time in the near future in this still greatly unexplored wilderness. If running into Bigfoot makes you uneasy, imagine another being that we really have yet to classify; the dogman. 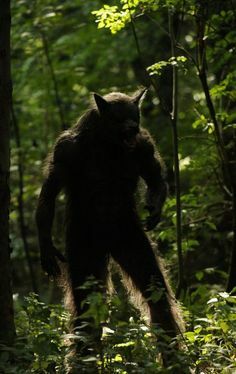 Dogman has been extensively and very well researched and written about by Linda Godfrey, who is the accepted authority on these beings. They are reported to be in small numbers, as they are rarely run into, but seen for the most part in the area from the Great Lakes down the Mississippi, through the states within that region. They are described as anywhere from 6 feet tall to 10 feet tall, with ears atop their head instead of on each side of their head, a snout that can appear either baboon-like or bear-like, walking on two legs, leaving 3-toed footprints, and sometimes having tails, sometimes not, with several different possible body hair colors. What are the Dogmen? We don't know. We, of course, have not captured one for examination. We compare them to dogs because we see qualities, like hairiness, ears atop the head and snout, but what if they were originally an evolutionary process of something like a lemur in the Americas? The lemur is one branch of the ancient tree that diverged away from what we and the apes became, but what if it had the potential to evolve as we did? I pondered who is Dogman's Daddy in this post (LINK). 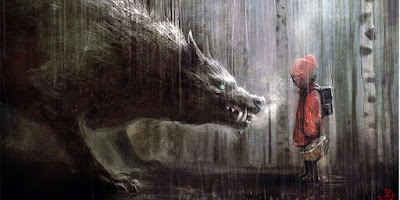 Here (LINK) is a post with some amazing Dogman encounters. 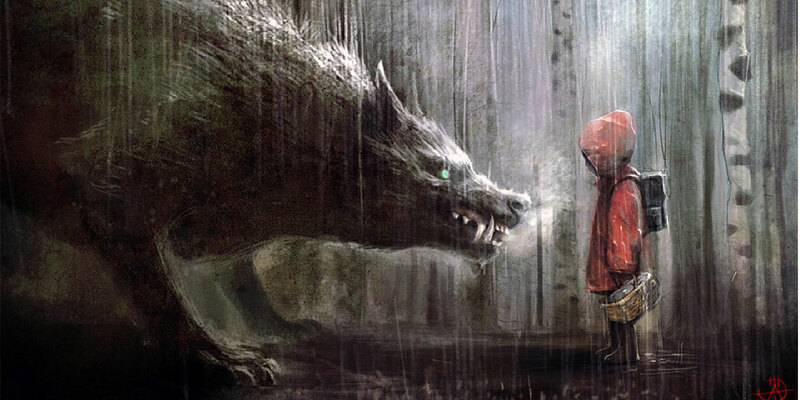 The vintage European tale of Little Red Riding Hood was a classic cautionary tale of the woods and accepting help from strangers. Every child heard it and most, like me, balked at the idea that a wolf could dress himself as grandma and we wouldn't be the wiser. There is even a modern live action movie playing on the theme, as the story will linger forever for its timeless lesson. Suggested Reading: Missing 411 book series by David Paulides showing the cases of mysterious and numerous missing people in national parks with very weird circumstances. Spooky, but so is the city sometimes.